The moods of his films resemble an atmosphere between the dream and trauma. Brehm treats the dream as a source of strategies for association, similar to the secondary process to which according to Freud all the workings of the unconscious are subject. DieThe moods of his films resemble an atmosphere between the dream and trauma. Brehm treats the dream as a source of strategies for association, similar to the secondary process to which according to Freud all the workings of the unconscious are subject. 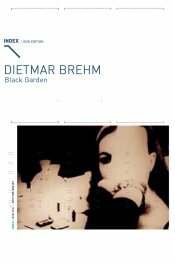 Dietmar Brehm ­ a master of the grammar of a non-conceptual language.